On Wednesday President Obama announced that he was easing some of the United States' 50-year restrictions against Cuba, and shortly after that announcement, the focus for some people shifted to what a new Cuba-U.S. relationship might mean for Assata Shakur. Shakur, who has become a kind of vigilante folk hero in the black community, was set to serve a life sentence for the killing of a New Jersey state trooper in 1973. After being sentenced in 1977, she escaped prison and has reportedly been living in Cuba. "We view any changes in relations with Cuba as an opportunity to bring her back to the United States to finish her sentence for the murder of a New Jersey state trooper," state Police Superintendent Col. Rick Fuentes said in a statement, viewed by The Star-Ledger. Shakur—then named Joanne Chesimard—was a member of the Black Liberation Army in 1973 when she and several other BLA members were involved in a shootout on the New Jersey Turnpike. When the gun battle ended, BLA member Zayd Malik Shakur and Trooper Werner Foerster were dead. 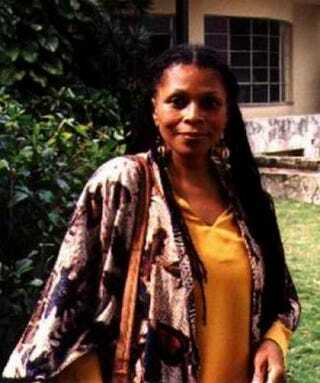 Assata Shakur, who was shot and wounded, was convicted in 1977 of first-degree murder for Foerster's death. She was given a life sentence, but two years later, with the help of several BLA members, she escaped. She was granted political asylum in 1984 by then-Cuban President Fidel Castro and has reportedly been living in the communist nation ever since. According to The Star-Ledger, "State authorities have made numerous efforts to extradite her, including an appeal to Pope John Paul II, who made a historic trip to Cuba in 1998. In 2013, she was the first woman named to the FBI's most wanted terrorist list, indicating state and U.S. law enforcement consider her one of the greatest threats to the American government. The FBI and the State Police are offering $2 million for information leading to her capture." "We continue to work closely with the FBI towards the capture of Joanne Chesimard, a convicted felon and fugitive who escaped from jail in 1979 and remains on the FBI's Most Wanted Terrorist List, as well as New Jersey's Most Wanted List," Fuentes' statement reads, according to The Star-Ledger. "We stand by the reward money and hope that the total of $2 million will prompt fresh information in the light of the altered relationship." Acting state Attorney General John Hoffman echoed Fuentes' statement. "With the president's announcement today on easing relations with Cuba, we remain ever hopeful in our resolve to bring Joanne Chesimard to justice," Hoffman said. "We will be working closely with federal authorities as we explore ways to apprehend her and return her to her rightful place in a New Jersey prison." Aaron Ford, the special agent in charge of the FBI in Newark, N.J., told The Star-Ledger that the agency "will continue to utilize all available resources in our attempt to apprehend Joanne Chesimard, no matter where in the world she is located. "As long as there is an active warrant for … Chesimard, the FBI will continue to pursue justice, regardless of how long it takes, and are hopeful any changes in relations between the United States and Cuba will assist us with her apprehension and return," Ford added. Read more at The Star-Ledger.